Mogok rubies are legendary at night a Mogok ruby glows like a burning ember in the fire. 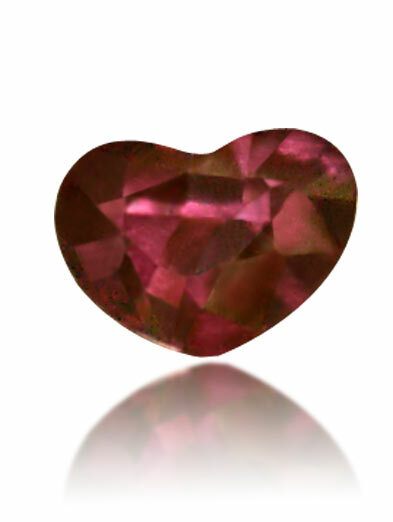 This mixed cut heart shape (romantic shape,) untreated Mogok ruby is a gem for connoisseurs or investors. This ruby possesses the incredibly rich red color that has made Burmese rubies so famous! Approximate dimensions are as follows; 6 mm long x 4.5 mm wide x 2.5 mm deep and weight is .55ct. This ruby comes with a FREE lab identification report. Ruby is said to bring wisdom, happiness, health, will bring particularly good luck to gamblers and lovers. Improved circulation is one of the major perceived medical benefits of Ruby gems.